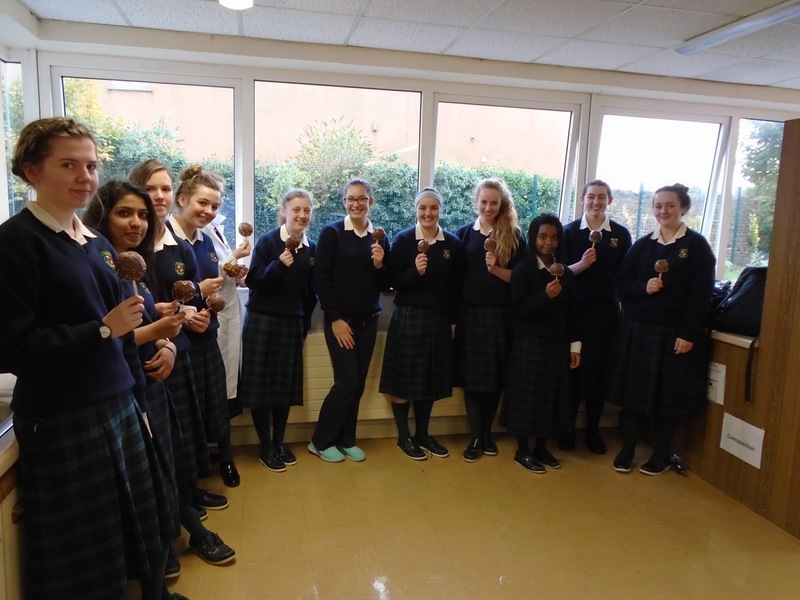 During the week leading up to Halloween, the Transition Year students who are a part of the St. Vincent de Paul fund raising group helped to raise money for the foundation.The chocolate apples were made by a group of committed Transition Year students on Wednesday 21st of October. 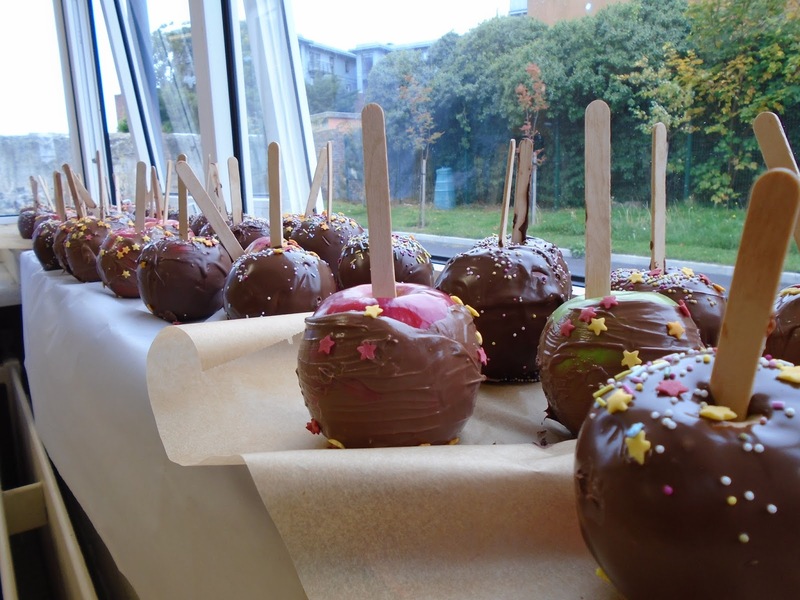 The apples were sold in the school during both lunchtimes for € 2 each the next day. We are thankful that so many students participated in such a good cause and helped St. Vincent de Paul. 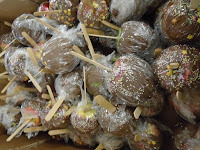 About € 1800 was raised, of which half was given to the charity. Just to remind everyone, St. Vincent de Paul fights poverty nationwide and Loreto Balbriggan got to join the fight too. Also, a big 'thank you' to Ms. Gaughan, who coordinated the event.We kept to the Halloween theme that week with another charitable event. 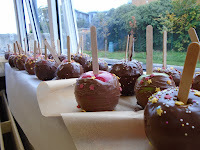 On Friday 23rd of October, all of the students dressed up in Halloween costumes and brought in €2 for Rumbek Day. This money went towards our fellow secondary school in Rumbek in South Sudan. Thank you everyone for your cooperation!